My apologies for the dearth of posts recently. I’ve been dealing with mounting admin and teaching duties, and so I haven’t really had time to write. But, with tasks cleared and a clearer to-do list, expect several posts in the immediate future. Here though, I want to briefly introduce a new paper on which I’m an author. The paper actually came out last month, but I failed to mention it at the time. The study was led by Dr Imran Rahman, and was published about 5 years after we first sat down and discussed the idea in Manchester. Simultaneously, Imran was at Manchester, and he’d been working for a while on Cinctans – odd little Cambrian echinoderms. I’ll not go into detail here about what makes them special – you can read more in Imran’s Geology Today article on fossil echinoderms, or in the paper itself. Suffice to say, they are strange tennis racquet-shaped animals that are thought to lie close to the base of the echinoderm tree, meaning they could shed light on the earliest evolution of the group and, perhaps, deuterostome evolution more generally. 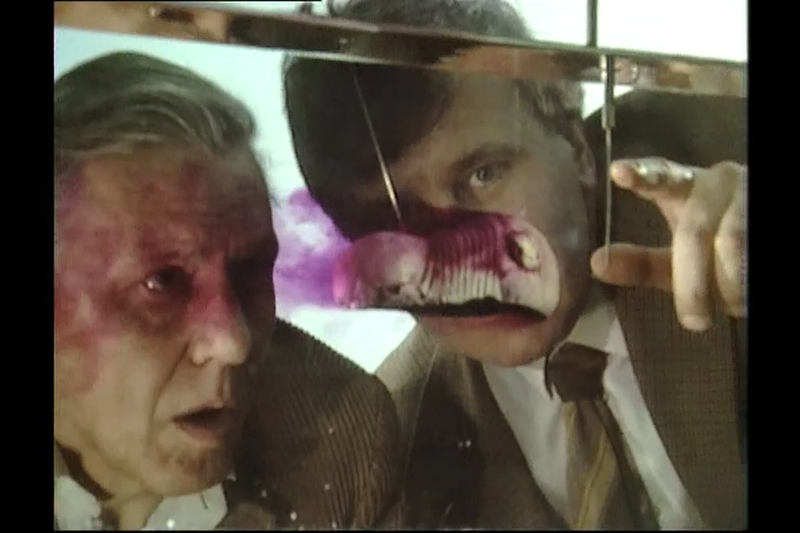 David Attenborough and Richard Forney look at a trilobite in a flume tank in Lost Worlds Vanished Lives. And so Imran and I met up in a pub in Manchester, and discussed the idea of putting digital models of cinctans into a virtual flume. We dabbled with this for a couple of years along with co-author Samuel Zamora, and I ran a series of simulations with the organism in various orientations to the flow. 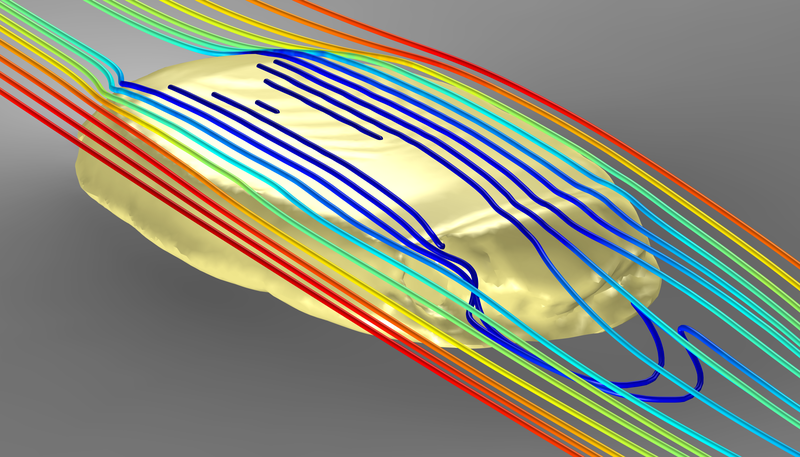 But after a first round of reviews it was clear we needed someone with more experience in fluid dynamics, and so Imran reached out to Jeremy Phillips at the University of Bristol, who helped us take the simulations to a whole new level. Ultimately, this enabled us to test between hypothesized feeding modes in cinctans. The result was a paper in Proceedings B, which made the case that cinctans were pharyngeal filter feeders, providing support for the idea that the ancestor of all deuterostomes fed in the same way. But for this post, I don’t want to end on what the paper showed, but rather to point out that inspiration comes from all sources – in this case a computational study on early echinoderms was born from a small child watching David Attenborough and Richard Fortey some 25 years earlier.